Triethyl phosphate TEP-MSDS - ZhangJia Gang YaRui Chemical Co., Ltd.
MATERIAL SAFETY DATA SHEET（MSDS） If the product MSDS are interested, please download! Respiratory failure, Low blood pressure, Central nervous system depression. Is harmful and may be fatal. Irritation and burns to mouth and stomach. is difficult, give oxygen. Prompt action is essential. by mouth to an unconscious person. Get medical attention. In case of contact, immediately flush skin with plenty of water for at least 15 minutes. Closed continers exposed to heat may explode. Use water spray, alcohol foam, dry chemical or carbon dioxide. apparatus with full facepiece operated in positive pressure mode. Keep container tightly closed. Suitable for any general chemical storage area. residues(vapors, liquid); observe all warnings and precautions listed for the product. coveralls, as apprppriate, to prevent skin contact. Use chemical safety goggles and/or a full face shield where plashing is possible. Maintain dye wash fountain and quick-drench facilities in work area. Oxides of phosphorus, carbon monoxide, carbon dioxide. 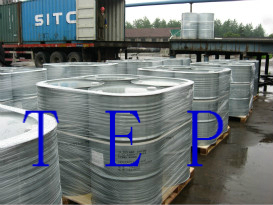 The above is a description of the product msds, such as Triethyl phosphate tep-msds want to learn more, please contact us. If Triethyl phosphate TEP-MSDS product is not what you want, we can be customized according to your needs, please send us your order to Email: sales@yaruichem.com , or click here to post your buying lead.